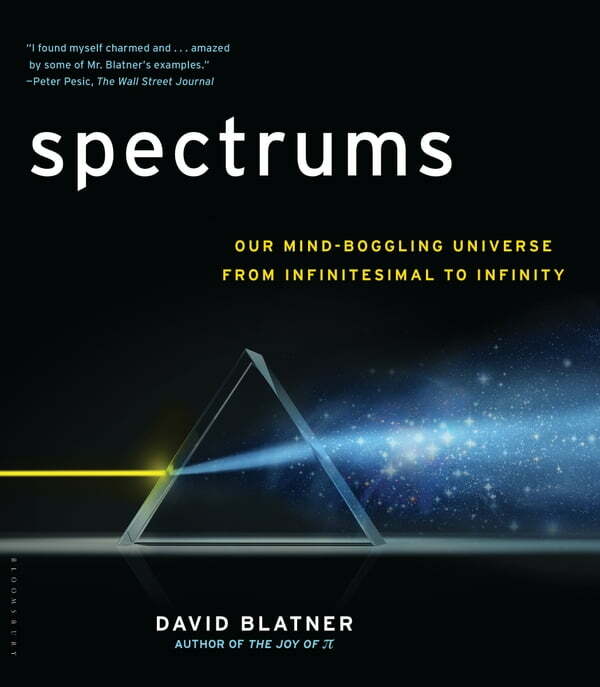 In Spectrums, David Blatner blends narrative and illustration to illuminate the variety of spectrums that affect our lives every day: numbers, size, light, sound, heat, and time.There is actually surprisingly little in the universe that we can feel, touch, see, hear, or possibly even comprehend. It's not an easy task to stretch the mind to encompass both billions of years and billionths of seconds; the distance to Jupiter and the size of a proton; the tiny waves of visible light and gargantuan but invisible gamma rays; or the freezing point of Helium and the heat generated by the blast of an atom bomb. But exploring these far-reaching spectrums gives us invaluable perspective on our small but not insignificant place in the universe. With easy-to-read, engaging, and insightful observations, and brilliant photographs and diagrams, Blatner helps us "grok"--to understand intuitively--the six primary spectrums, making our daily lives richer and more meaningful through greater appreciation of the bizarre and beautiful world in which we live.